Well, that was quick. Pete Brunstetter has decided that he’s not running for U.S. Senate after all. I was certain that Brunstetter would weigh his options until at least mid-October. It’s possible that the senator figured that a bid would be impractical, either because of lack of monetary support or the necessity of giving up his seat in the General Assembly, or maybe the NRSC pressured him not to. Either way, the Brunstetter trial balloon has officially popped. He’ll seek reelection to the State Senate and be a future candidate for Congress. The most important question: is Berger still working behind the scenes, trying to recruit another candidate? It’s clear there’s no love lost between Tillis and Berger. Both Berger and Brunstetter, by the way, say they’ll support the eventual nominee, even though they’ll probably do so only reluctantly if Tillis is the nominee. Brunstetter says he’ll probably make an endorsement later in the race. Was he referring to the primary? If so, who will he endorse? If it’s Tillis, it’ll be a lukewarm endorsement for sure. Could Brunstetter and Berger possibly back Brannon? 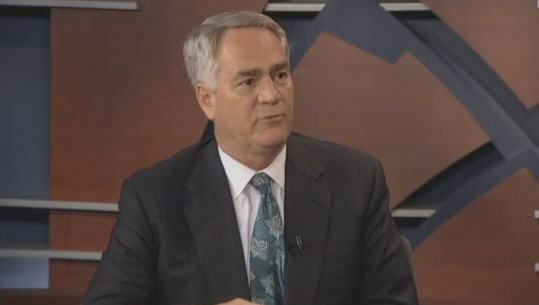 Brunstetter’s non-entry leaves just one more potential candidate to decide: Jim Cain. So far, we’ve heard almost nothing from him, except an acknowledgement a few months ago that he’s considering the race. Most news stories don’t even bother to mention his name in a list of potential candidates. Indeed, the News & Observer article linked to above omits him from the coverage entirely. But a Cain entry would completely shake up the race, even more so than a Berger entry would have done. Cain would be able to raise an immense amount of money and would start out on an even playing field with Tillis. Indeed, the main concern with Cain running is that he might split the “moderate” vote with Tillis, allowing Brannon to eke out a victory. If Cain enters, the entire dynamic of the race changes. However, despite no word from Cain, there are a number of signs that point to him not running. For one thing, Cain is not acting like a potential candidate. He’s not trying to get his name out there, he’s not leaking stuff to the press, he’s not doing the things that would-be candidates usually do. Then there’s the fact that the GOP establishment seems set on Tillis. Karl Rove will be helping him to raise money, and Richard Burr has already done so. True, Cain could always run and upset the apple cart, but he doesn’t seem like the type to do so. Nor does he seem the type who has a burning desire for elected office. Next, if Berger really wanted someone to enter who could give Tillis a run for his money, why did he try to recruit Pete Brunstetter instead of Jim Cain, who would have been the obvious choice? Finally, it’s almost October. It’s getting a little late to be considering the bid. It’s in or out time. Now, this isn’t so much a worry for Cain as it would be for a candidate with less financial acumen. But it’s still a factor regardless. The one piece of evidence that contradicts the Cain-isn’t-running theory: if he’s not running, then why doesn’t he just say so? The most logical explanation is that he’s still weighing his options. I still don’t think he’ll run, but I’ve been wrong before. Well, actually I haven’t, but that doesn’t mean I won’t be wrong in the future. With Berger and Brunstetter out, Cain is the remaining piece of the Senate puzzle. If Cain bows out, Tillis is the solid frontrunner, with only Greg Brannon having a small chance to topple him. But if Cain is in, then the race becomes a free-for-all, with any number of things that could happen. Whatever Cain’s decision, the clock is ticking. We’ll know for sure what the playing field looks like – when he decides.